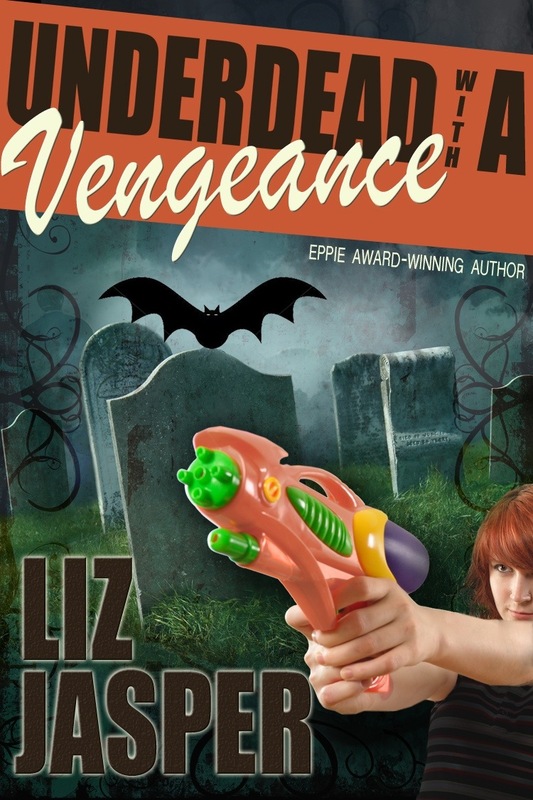 Coming December, 2013, the long-awaited third novel in the Underdead vampire mystery series! 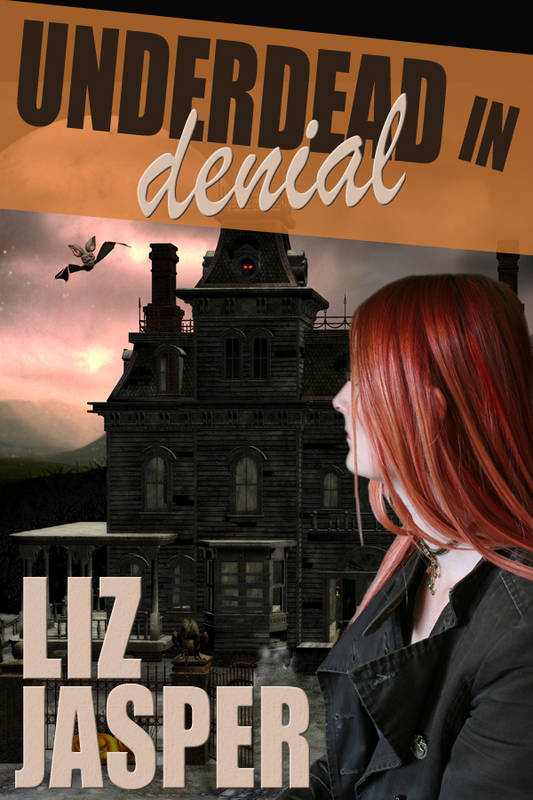 Science teacher Jo Gartner staked the dangerously attractive vampire who turned her almost undead, and his minions haven’t come after her for revenge. Who cares. She has everything under control. Except she’s not sure Will is really dead dead. And Detective Gavin Raines, her vampire-hunting crush, has popped back in her life to investigate an odd string of murders…and maybe finally ask her out on a real date. At least her her teaching job is straightforward. Or rather it was before the world’s most perfect teacher joins the staff and seems to be noticing that her vampire traits are, well, a lot more apparent than she’d like them to be. Caught between two worlds and fitting into neither, Jo must risk it all to take her own path–before the next person dead is her. 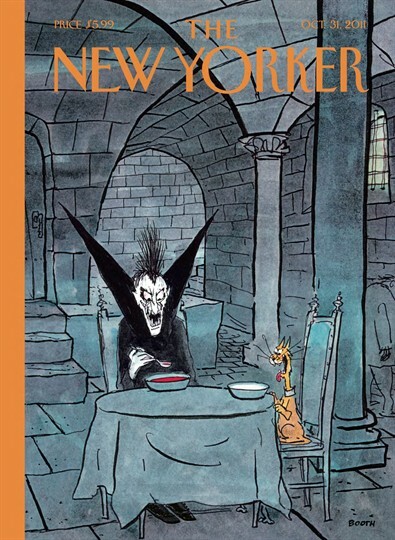 Okay, so this particular issue of The New Yorker came in the mail a while back and for whatever reason I LOVE this cover. I can’t explain why it makes me giggle and why I want to have it on my wall. I want to go to the effort of buying a frame for it and sticking it up near my UNDERDEAD books. And the number of such things I currently have framed on my wall? Zero. It sort of seems obvious why I would find it funny. Afterall, I write cozy mysteries with vampires and this is pretty much in the spirit of my novels. And yet, there’s a decent chance that if someone had given this to me I would have held it with two fingered distain. In fact, I would think that the very obviousness of this cartoon would make me bored by it. But, nope! My eyes keep going to the picture as I type this and I get a little rush of giggle each time. Humor is an odd, odd thing! I think that’s why we feel so close to people who share our sense of humor. So tell me–what’s something you find funny and you can’t quite explain why? Don’t Make the Halloween Mom ANGRY! When I was in the sixth grade, trick or treating was a big deal because I was invited–and allowed–to go with a couple of friends and stay out until late (8:30) without supervision. Bewildered door-answerer: And what are you? Bewildered door-answerer: Ohhhh. Here. Have an extra Milky Way, dear. But then my costumes always required explanation. I don’t remember what the third friend went as. You just can’t compete for memory space against Shanna’s sparkles and top hat and my thrill over having a real costume instead of the sort of throw-together thing my family went for. Liz’s Mom: Here, Liz, wear this old shirt of your father’s out of the rag bin. Look! You’re a hobo! Anyway, we were having a great time (translation: having a good candy haul that year) when the clock ticked past 7:30. That meant the parents out trick or treating with little kids were taking their kids home. Soon we we ran afoul of a gang of 7th grade boys. Here’s a what happened: they had shaving cream and were ten year old boys. Shanna got the brunt of it. Her sparkles were like a hundred little targets begging the boys to nail her with shaving cream. We made it back to Shanna’s house teary and dejected. Shanna’s Mom: Girls! You’re back early. How was the… [eyes narrow. Lips compress.] What happened. Three girls speaking at once: They were mean! They had shaving cream! It wasn’t our fault! They just attacked us! Shanna’s Mom [crossing to the fridge and yanking it open]: Here. Hold this. [Hands closest girl an 18 pack of eggs.] Girls, get into the car. No. We’re taking the van. [She grabs a box of something and hefts it in the van, placing it between the front seats.] Okay. Everyone buckled in? [We drive in petrified silence to back to the street. There are muffled sounds of sniveling as we take stock of our ruined costumes.] Okay. Point them out. Shanna: There they are. Those are the boys! See? The big one still has a can of shaving cream. Shanna’s Mom [Slams to a stop. She opens the egg carton and grabs as many as will fit in her hands and starts pelting the boys]: Get ’em! Shanna: Mom, we’re out of eggs. They’re running away! Shanna: Eew, these are the ones that went bad! Shanna’s Mom [smiling for the first time]: I know. Get ’em girls! Frankly, now that I look back on it, I find it was very generous of Shanna’s mom to teach those boys an important life lesson at such a tender age: Always remember how you treat a girl because at some point, you WILL meet her mother! Maybe you’re too busy with daily life to come up with a good costume for Halloween. Or maybe you can’t muster the energy to deal with the parking lot at Target, much less the insanity of the Halloween aisle. 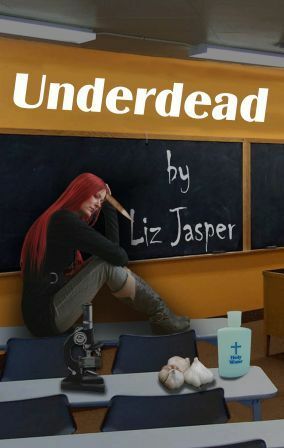 Leave a comment at Buried Under Books about your costume skills and get a chance–or two–to win a copy of Underdead! 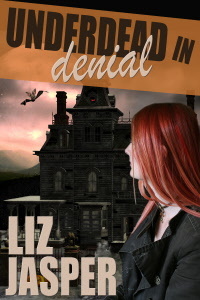 Award winning UNDERDEAD and the sequel UNDERDEAD IN DENIAL are now available in eBook and trade paperback! 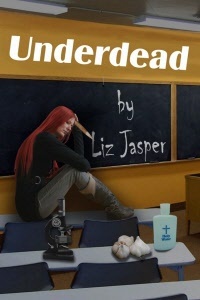 As a launch special, the eBook version of UNDERDEAD will be on sale for $0.99 for a limited time. To find links to both books in whatever format you prefer, click here.